Charge your device in your car with the ultra-compact Belkin 1A MIXIT Car Charger. The car charger plugs into your car's power socket. 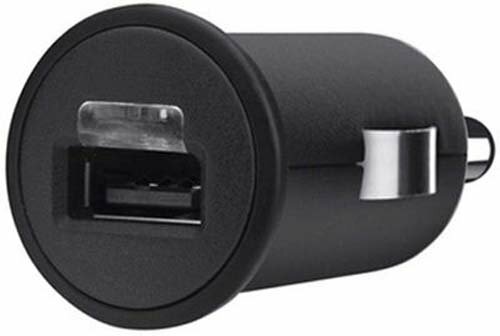 The 1 AMP car charger will work with Apple, Android, BlackBerry and other smartphones. Features: 1AMP USB port Belkin Micro Auto Charger Super small and compact design removes unneeded clutter Cable sold separately OEM Part Number: F8J018ttBLK Cables & Etc., LLC is the owner of the trademark C&E. This UPC is trademarked under C&E. Any violation will be reported to Amazon without any prior warning.